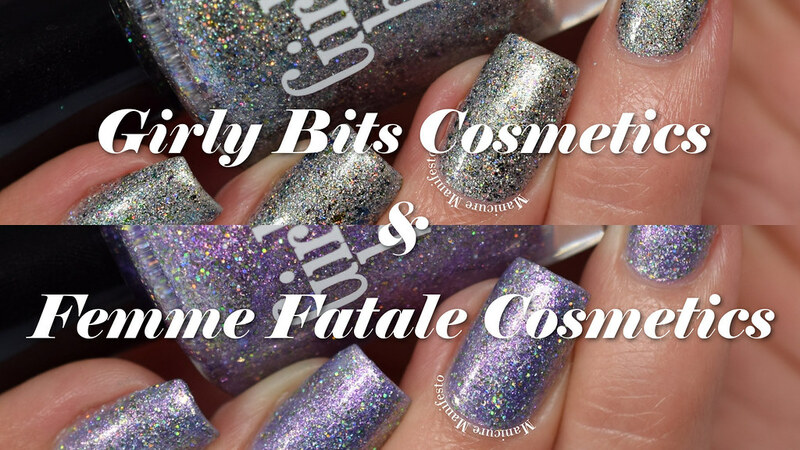 Girly Bits and Femme Fatale just released a limited edition collaboration quad of polishes featuring two complementary shades from each brand. 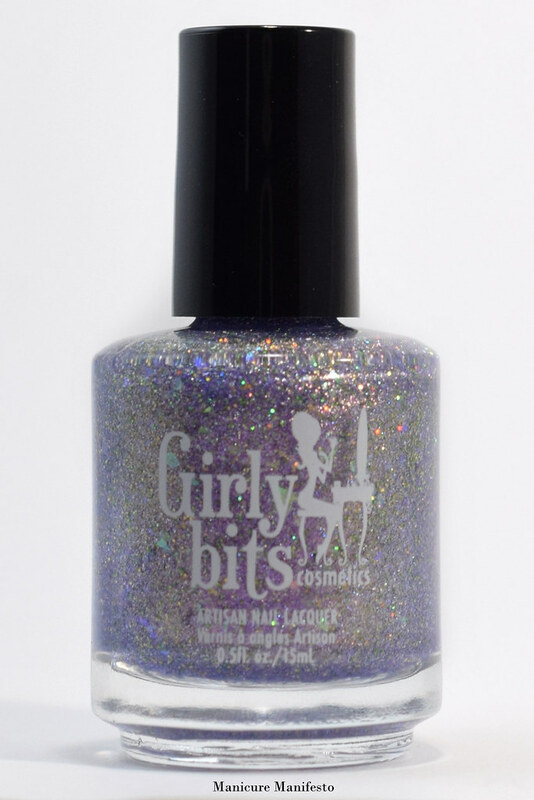 Today I have the Girly Bits half of the release to share with you. 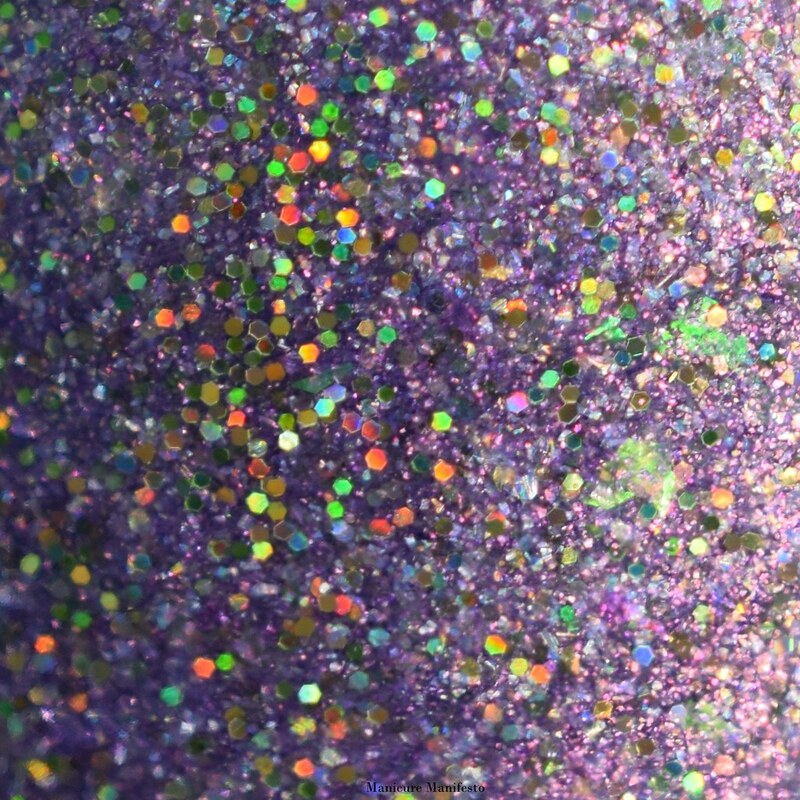 Aussie What You Did There features a clear base filled with fine holographic shimmer, holo flakes, aqua shimmer, tiny pink holographic glitters, and a rainbow of metallic shifting flakes with shades of pink, gold, blue,and green. The formula was very easy to work with, especially considering the base isn't tinted. I used three thin coats for full coverage. If you have short nails or a less distinct nail line you could get away with two. 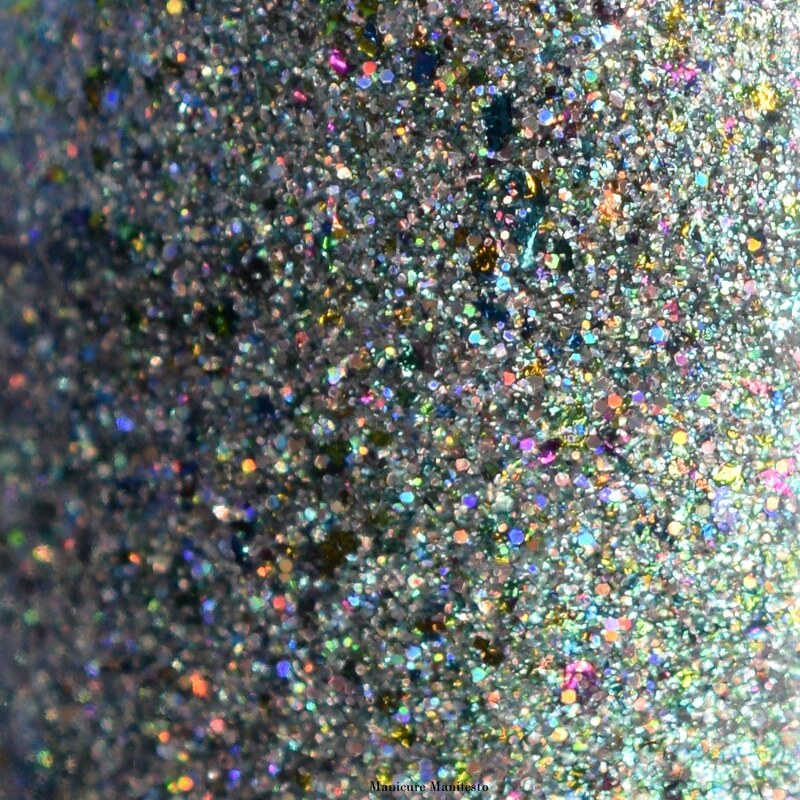 It also dried surprisingly smoothly considering all the flakes and glitters in there. One coat of top coat was enough for a shiny smooth finish. Photos show three coats of Aussie What You Did There with one coat of Girly Bits Cosmetics What A Rush topcoat in daylight spectrum lighting. ... and one more in shaded lighting to show off the flakes and shimmery blue undertones. 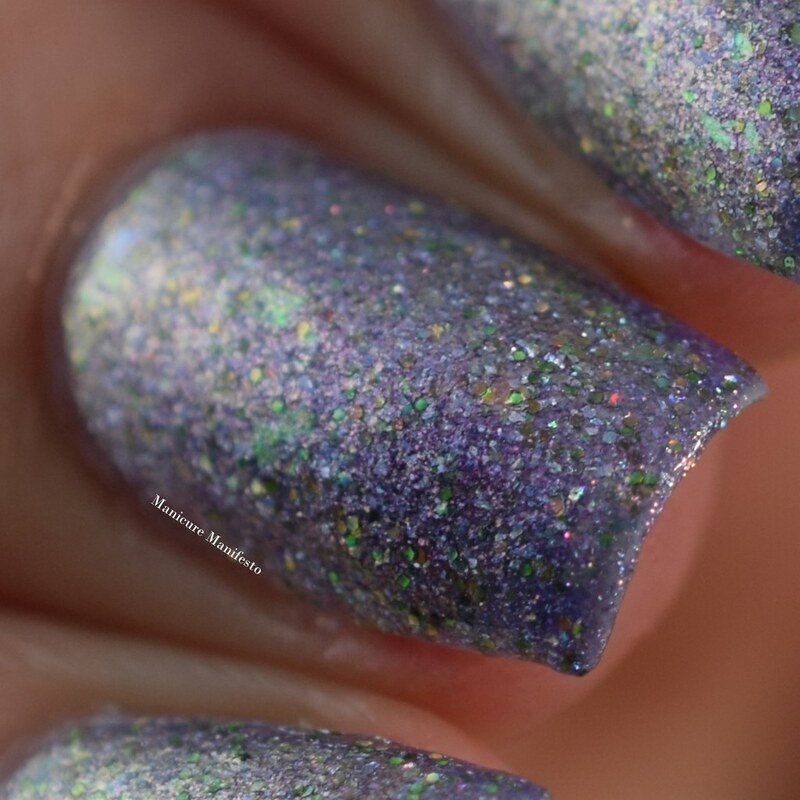 Where The Sky Ends features a pale lilac base with a violet to gold shifting shimmer, holo flakes, small pale green holo glitters and green to copper iridescent flakes. The formula was comparable to Aussie What You Did There though a tad more pigmented, requiring two coats for full coverage. This dries quite smoothly but top coat really brings everything together. 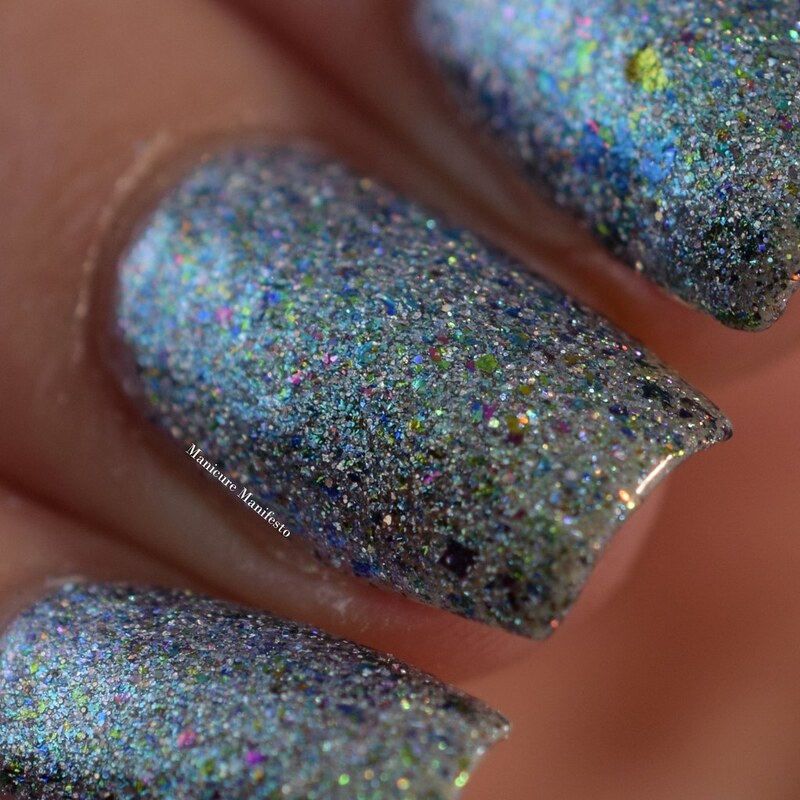 Photos show two coats of Where The Sky Ends with one coat of Girly Bits Cosmetics What A Rush topcoat in daylight spectrum lighting. ... and one more in shaded lighting to see the green flakes and shimmer.